Buffy struggles to deal with her mom Joyce's newfound interest in spending time with her. Balancing that with her schoolwork, her friends, and her regular vampire-slaying duties is a challenge. 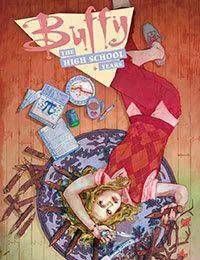 However, when Joyce becomes hypnotized by a childlike demon that craves motherly care, Buffy experiences a new kind of sibling rivalry except in Buffy's case, her “sibling” is actually a monster!<br />Writer Kel McDonald (Misfits of Avalon, Sorcery 101, Angel &amp; Faith), and artist Yishan Li return to Buffy!<br />Set during Season 1 of the television series.